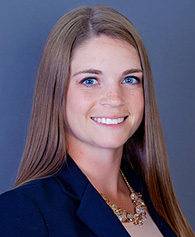 Cayce, a client service associate, currently serves as her team’s marketing director. A lifelong resident of Benton, she cares deeply for the people in her hometown area and wants to do everything she can to help them achieve financial stability. Cayce believes that, by applying her passion for analyzing complex situations to her daily work, her efforts will enable the clients she serves to focus on what’s truly important to them. She uses her extensive knowledge of social media outreach to stay connected to her team’s clients and maintain an active conversation with her community. Before joining Raymond James in 2018, Cayce served as a home office intern in St. Louis, Missouri, and as a branch office administrator with Edward Jones. She is currently working toward her bachelor’s degree in business administration with an emphasis on economics from the University of Missouri-Columbia, where she plays golf. Cayce, an active member of First Baptist Church, is a two-time SEC Academic Honor Roll recipient and a U.S. Women’s College Golf Association Academic All American.